Can she survive the collision of her worlds? 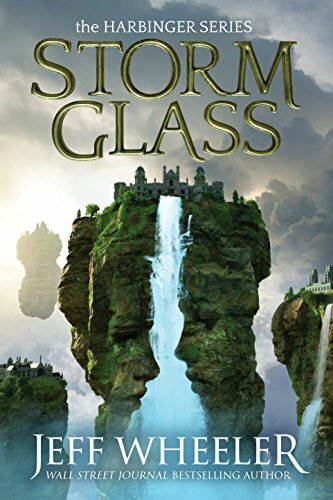 Storm Glass (The Harbinger Series Book 1) is reminiscent of a steampunk novel, but rather than mechanisms, there are magic stones, mysteries, and maritime vessels flung aloft. The world-building is wonderfully colorful and real, the characterizations are deep and complex, and the magical system of mysteries is, well, mysterious. Absolutely great story that I thoroughly enjoyed, just wish I didn’t have to wait for the next book. Storm Glass is an engaging, enchanting read with a lot of deep thoughts. Highly recommended.